Well, now that you have selected and cleaned a rugged old juniper, you see the main branches are thick. But styling it seems impossible because of the placement and the thickness of the branches. What can you do with thicker branches? Bend 'em! Bending can shorten and re-position branches into much better locations, many times saving a tree from being tossed away. Smaller branches on a juniper (3/8" and smaller) are relatively easy to bend without damaging them. More extreme techniques are used on larger branches. Can this damage the bark and conduction layers under the bark? Yes. David Nguy is a master at bending branches. He will show us proper bending of larger branches to minimize stress and damage and then instruct us on the all important after-care; common sense care that can make the difference between success and failure. David has been working with very large bonsai for decades. He and his wife June operate Bonsai Jidai in Chino, CA. 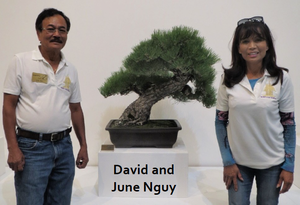 Last year at the NanpuKai club show during Nisei Week, David and June displayed their own bonsai. David's was a very old, magnificent Japanese Black Pine, and June's an exquisitely styled California Juniper. David has studied in Japan with Masahiko Kimura and also extensively with Harry Hirao, Ben Oki and Ernie Kuo. David has become an expert with Japanese Black Pine. In addition, he has one of the largest collections of California Junipers, given the title by some of Mr. California Juniper II after Harry Hirao, Mr. California Juniper. 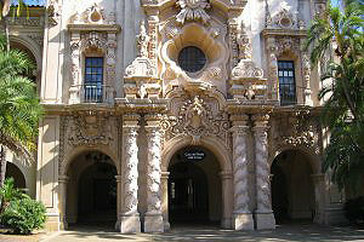 Before the meeting, David will be there to set up and will have time to talk with members. After the meeting from 1-4PM, David will be available for a workshop for 4 people. Those of you who are interested in learning how to bend the heavier branches, now is the time. 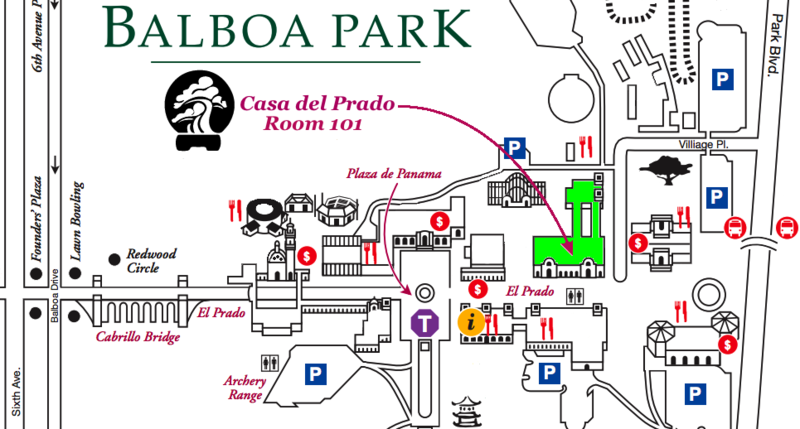 Bring your own tree; the cost will be about $60 per person for his individualized instruction.